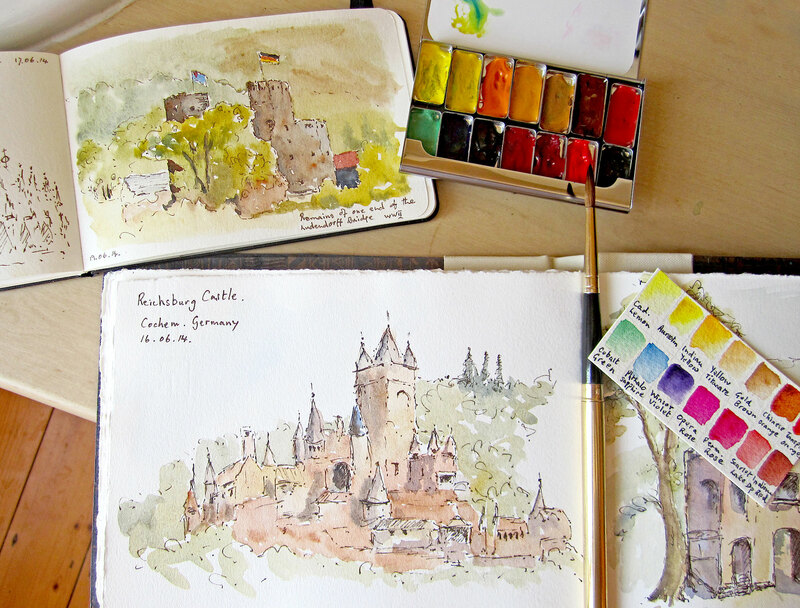 Janet from the United Kingdom made these beautiful ink and watercolor sketches during her travels in Germany. I think her color key card is an especially good idea. Thank you for sharing! If you have sketches or stories of your explorations with your Art Toolkit or Pocket Palette you’d like to share, please email me.